Derwent Inktense water soluble pastels with Canson watercolour paper prove to be a real hit with art students at East Keswick near Leeds recently. 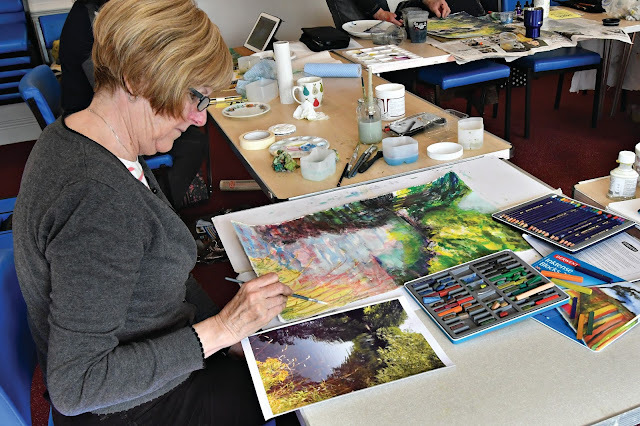 With the theme of 'flowing waters' for the full day workshop, to everyone's delight students soon found out how versatile and easy to work with Derwent Inktense pastels were to expressively paint and draw with. 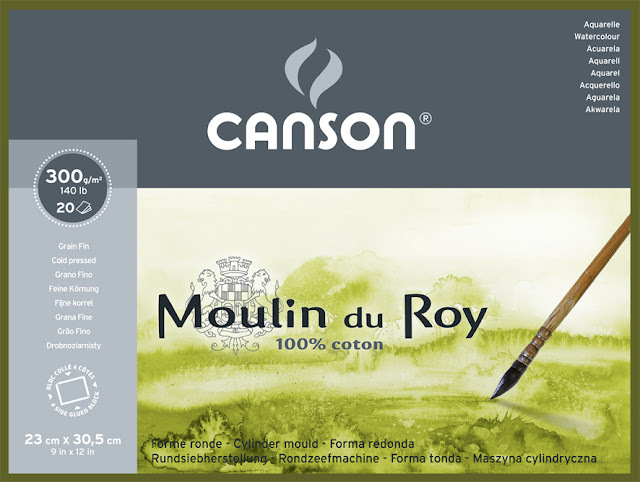 The unique texture of Canson Moulin du Roy (not) 300gsm (140lb) watercolour paper worked wonders for lots of different expressive mark making techniques for everyone's paintings. 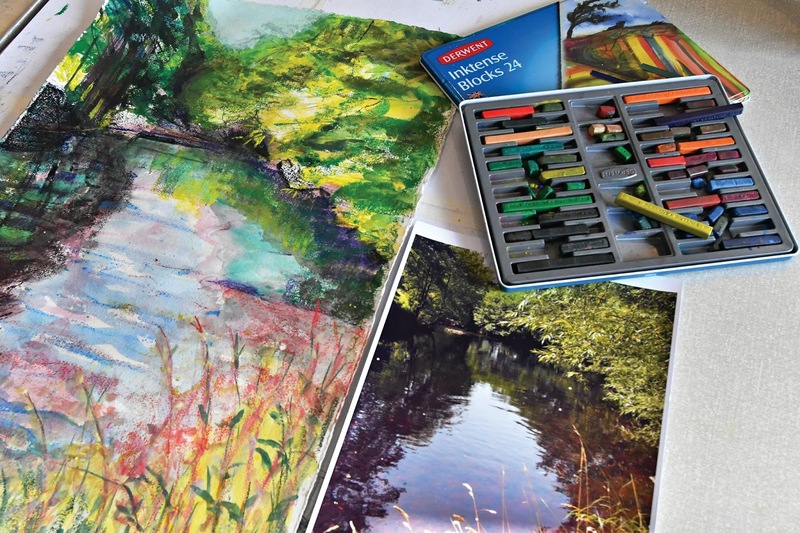 Being such a strong paper with a unique surface (not too textured but with enough subtlety to allow detail and expression), helped inspire a confident approach to explore Derwent Inktense pastels to the full. 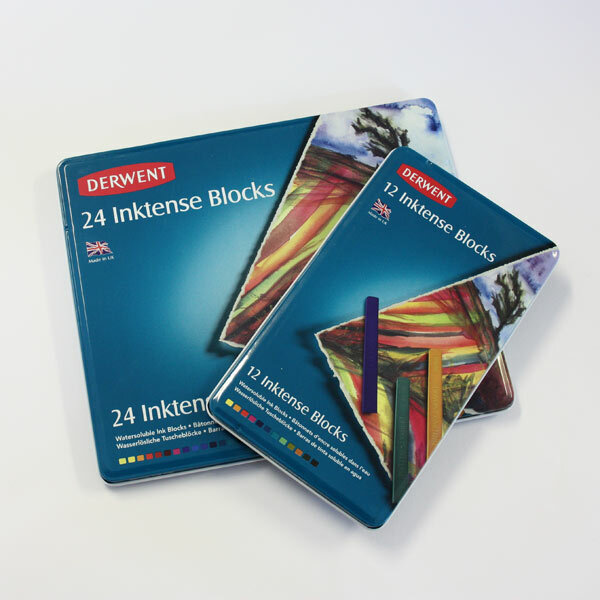 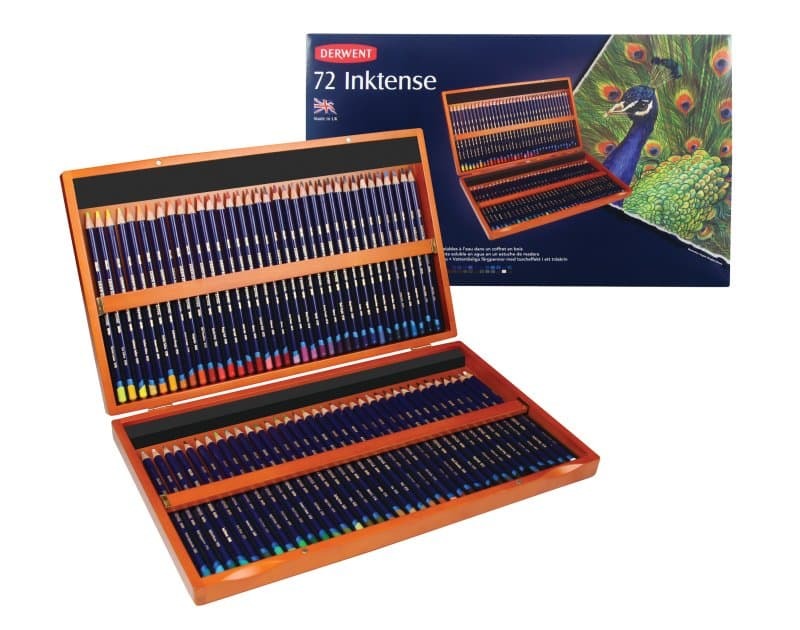 With 72 blocks of colour in the full Inktense range with the same number of colours available for their water soluble pencils too (great for all those special details), all the students discovered for themselves how amazing and easy to use the Derwent Inktense range was to work with. 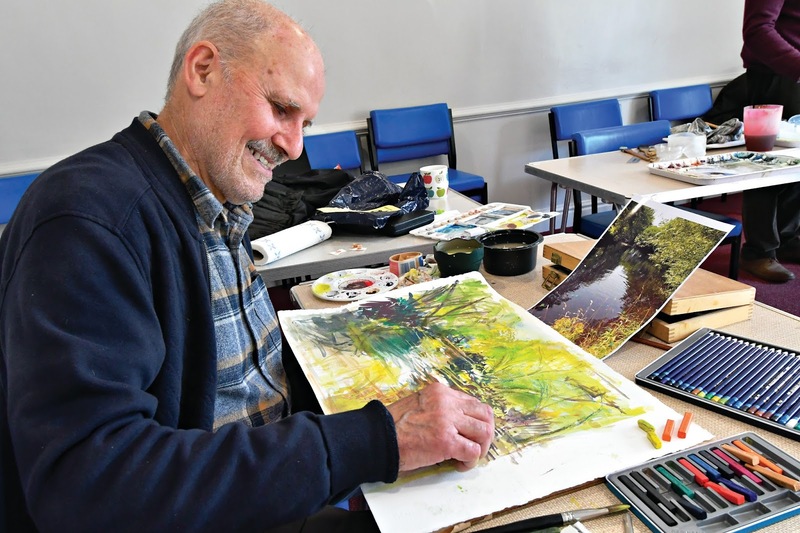 The finished expressive paintings in the workshop revealed techniques such as wet in wet, dry drawing with multiple layering combined with colourful premixed washes (similar to watercolour) and furthermore helped students once more to advance with their own creative art techniques. 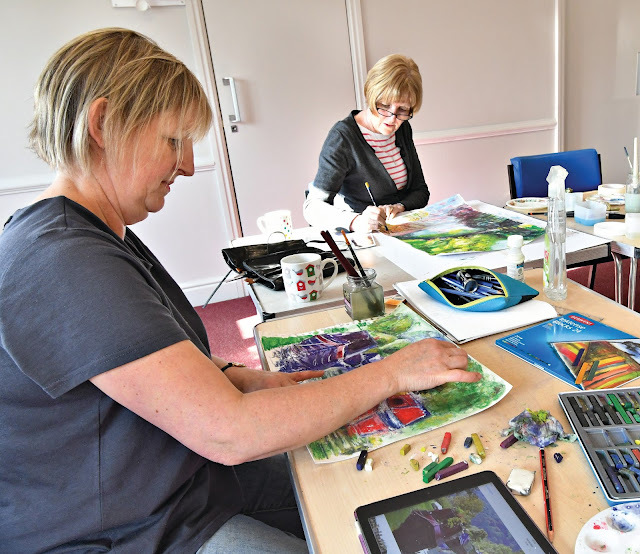 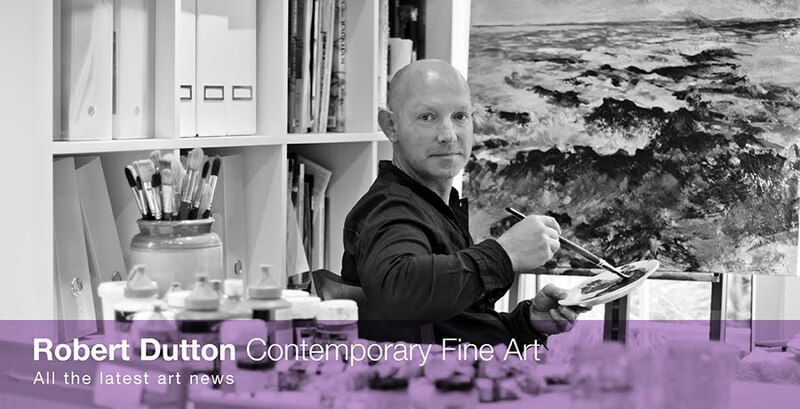 A big thanks to sponsors Derwent and Canson for their superb and professional top class art products provided for us all to use on the day and an big thanks to Keswick Art Society for the invite for the workshop too. 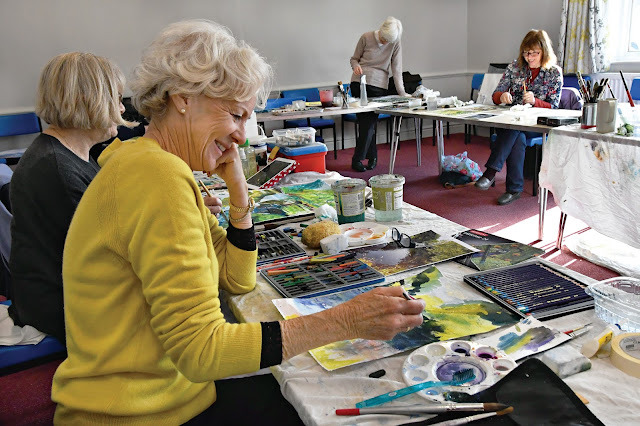 It was a pleasure to come and teach you all lots of great art techniques with versatile Inktense pastels on just one of the great papers created by Canson - the superb results created on the day just speak for themselves! 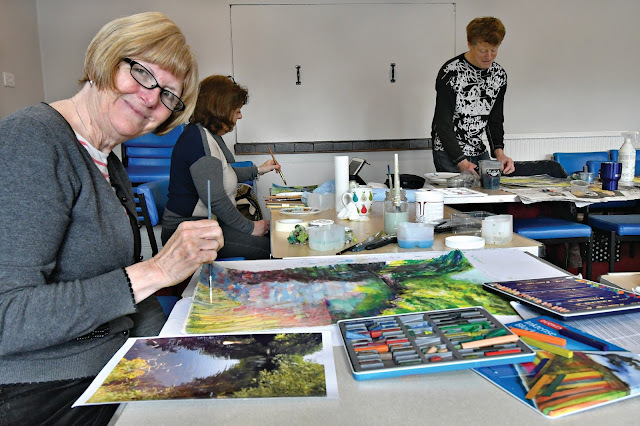 Thanks for an excellent workshop Robert - you got us all experimenting with new materials and techniques which was great - like being a kid again!